This is a curved rectangular O’Sullivan’s Heels porcelain sign. This particular O’Sullivan’s Heels sign is orange with white text. 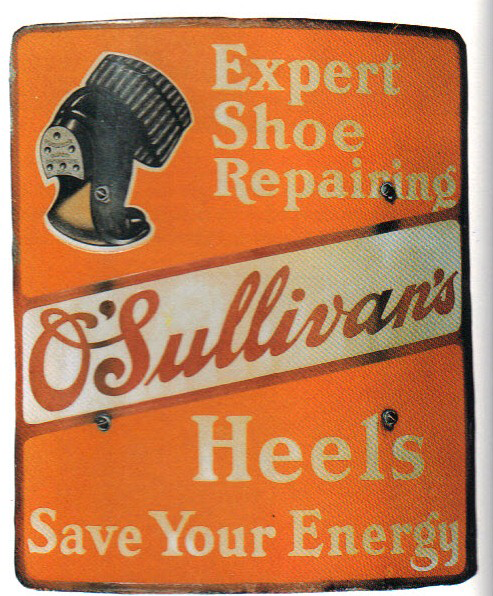 It reads, “O’Sullivan’s Heels, Save Your Energy, Expert Shoe Repairing” and features a black shoe heel in the upper left corner.